The City of Oakland, California, in 2002 overwhelmingly approved a bond measure to improve Lake Merritt, the city’s historic urban lake. The initiative included restoring the municipal boathouse (a historic landmark), expanding the surrounding park space, and improving both bicycle and pedestrian access to the once run-down lake. 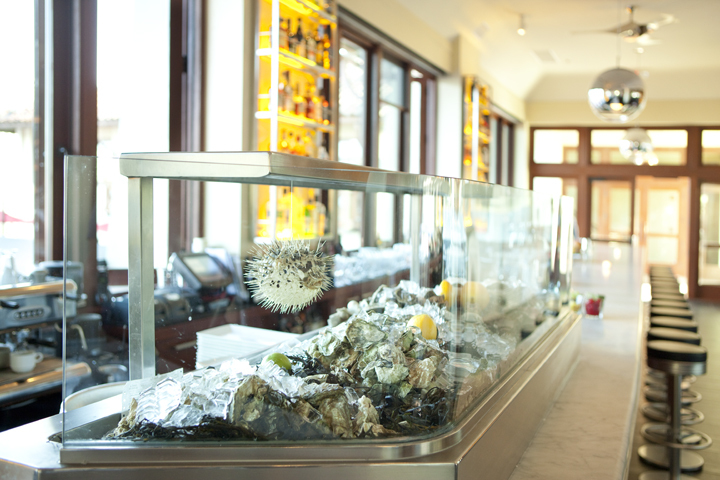 After the structure underwent a complete, Silver LEED restoration, the Mediterranean Revival style building was transformed into the Lake Chalet Seafood Bar and Grill, a day and nighttime destination that has brought a surge of new energy to Lake Merritt. With 325 indoor and 100 outdoor seats, the restaurant visually and physically embraces the waterside setting, with its walking and jogging path, gondola rides and “necklace of lights” dating to 1925. New architectural elements, materials and colors pay homage to the lake and the long history of boating at the site.The dock contains a bar, lounge seating, an outdoor kitchen, and dining tables. 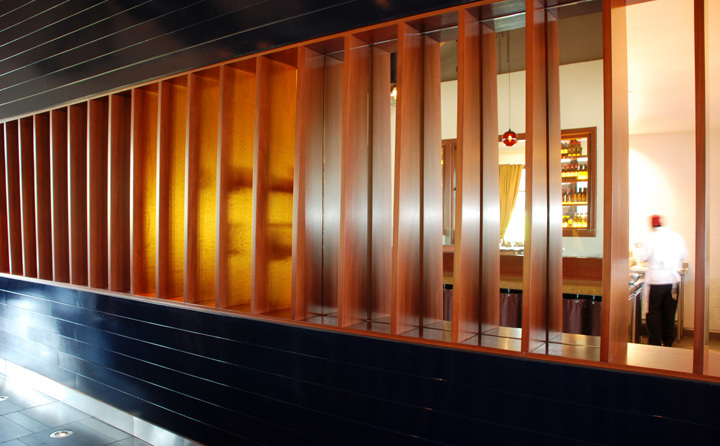 The design creates variety, style and intimacy while connecting guests to the experience of the environment.